Alumni donated an FFA t-shirt for every FFA chapter member. The Salisbury FFA Chapter collaborated with the Alumni for the Salisbury Steak Festival concession stands. The Alumni hosted a dinner to welcome the National FFA President. The Salisbury FFA Alumni and Supporters donated $750 so that FFA members could attend the Washington Leadership Conference. The annual Blue Jacket Dinner and Dance fundraiser. 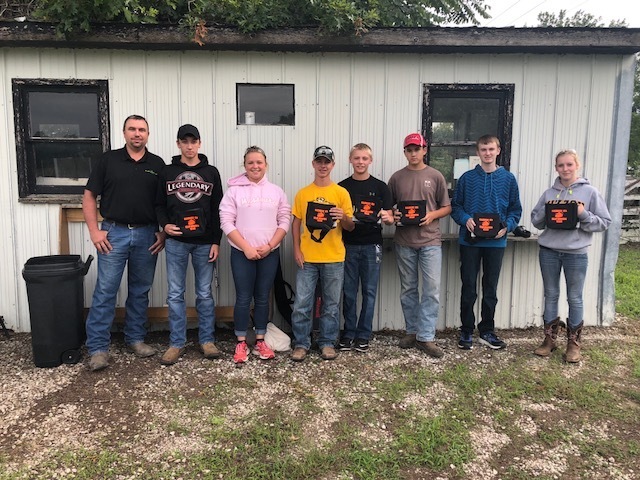 Salisbury FFA Alumni and Supporters Russ Stundebeck presents donated trap shooting belts to the Salisbury FFA Chapter Trap Shooting Team.